Workplace safety is no joke. 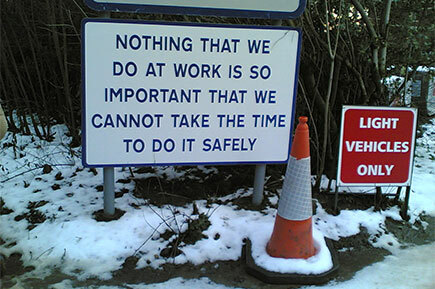 If you truly care about your employees, about the people that work for you, then workplace safety is a must. In order to have a safe workplace, where people can focus on their work and not be afraid of getting injured, you should organise and facilitate a clean and healthy workplace environment. Ensuring your place of work is in accordance with all regulations and standards of your local or federal government is a must. Indeed, this will help eliminate any fear of getting fined or ticketed, but it will also showcase some guidelines that will help you keep your workplace safe. Complying with these procedures and legalities will guarantee that your workplace will be safe for everybody – not only for the people that work for you, but for the customers, contractors, suppliers… Anybody who visits your workplace. Now, safety is something within your control. You can influence it greatly, and have your employees go home safe and sound, with a smile on their face. So, if you have been convinced of the importance of workplace safety, you should keep the following list of tips in mind. Slipping and tripping are usually caused by scattered objects or spills on the floor. Make sure that your workplace is always clean and fresh. Make it a habit to clean up spills straight away. Keep the aisles clean, organised, and clutter-free to ensure that nothing’s in the way that can hurt those who are working. Alsco’s line of wet area rubber mats is a perfect move towards employee safety. They’re industrial grade and capable of absorbing up to 80% of water and dirt. Placed strategically around the office, they can save your employees from nasty slips and fall. 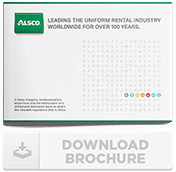 Alsco also provides laundry services for these mat rentals based on your own schedule. Be very, very careful. If they are not stored properly, combustible materials present a very serious fire hazard. These can put the whole job site at risk. So, it’s a given that you should place these somewhere that is safe, and that has proper ventilation. Also, if anybody spills or drops any of this stuff, it needs to be cleaned properly, in accordance with the necessary guidelines and specifications. Any employee tasked to handle the tools, equipment, or machines should go through proper training first. And anyone who isn’t trained should never be assigned to handle heavy machinery and should stay away from it unless there is trained personnel present who can supervise. Now, this may sound obvious, but you would be surprised to hear how many people simply disregard this fact. Any and all areas where dangerous gear and materials are stored should be labelled as such. Marking hazardous areas and walkways leading to said areas is always a good idea. Black and white stripes are a clear and simple indicator. Neon markers are also a good choice. Remember that workers who use specialised equipment should wear the proper gear and apparel when using said equipment. Having the right shoes can save them from serious injury when, for example, they handle power tools. Providing your employees with first aid stations goes a long way towards safety and are a practical way to deal with emergencies. These wall-mounted stations must be fully stocked with a first aid kit that has all the meds and supplies needed to handle the most commonly encountered situations in the office. For improved safety, you should provide a training program on first aid techniques that will give your employees the ability to react properly at the first signs of an emergency. This course is comprehensive and covers all the basics and essentials needed. This boosts fire safety as well as possible causes of natural disasters such as earthquakes. Everyone should also be trained how to use fire safety equipment correctly. Ergonomically and specially designed furniture can be a godsend in the workplace. A good chair can really do wonders for one’s back. Not to mention that just keeping a straight back during the workday can really ease the stress that some critical points (like the lower part) of the back bear every day. For tasks that involve a lot of heavy lifting, provide mechanical aids such as a wheelbarrow, conveyor belt, crane or forklift. This can prevent back injuries. Particular hazards of a job or workplace should always be discussed when orienting new employees. This helps them be more aware and cautious when moving around the workplace and reduces risks of work-related injury or illness. Vary employee’s activities to keep them from doing one task for long periods of time. It also helps to rotate people through tasks as this allows changes in their posture and activities. When using properly maintained tools, workers don’t have to use forceful movements when using them, preventing injuries. The most common causes of stress and work burn-out are long hours, heavy workload, job insecurity, and conflicts. These can lead to depression, sleeping difficulties, and affect employees concentration. Promote healthy lifestyle and create a stress-free environment in the workplace. Encourage your employees to drink lots of water every day. Drinking more water, juices, and other non-alcoholic drinks at frequent intervals will help a lot in replacing all the fluids they’ve lost from work. Employees that have regular breaks tend to feel more fresh and alert than those who don’t. Let employees rest in a cool place. This helps to avoid injuries or burnouts. First aid ably covers the basics. But what happens in a true emergency? Cardiac arrests can happen at any time or place. It’s only right that you have an automated external defibrillator ready in situations like this so you and your employees have a simple yet effective response to a potentially dangerous emergency. Getting a defibrillator from a tried and true company is a good idea. And remember that proper maintenance, as well as instructions on how to actually use the thing are all included here. Most units also get simple and concise instructions. This also means that we will do all the maintenance that is required. Additionally, all of our services are tailored to fit your company and its specific needs. You say jump and we’ll ask: how high? We’re also compliant with complex WSH laws so that’s another thing that we can guarantee. So, go with the name that does everything for you. Call Alsco and make the arrangement.